May 8: Coca-Cola® Goes on Sale! MAY 8, 1886 — COCA-COLA® GOES ON SALE! 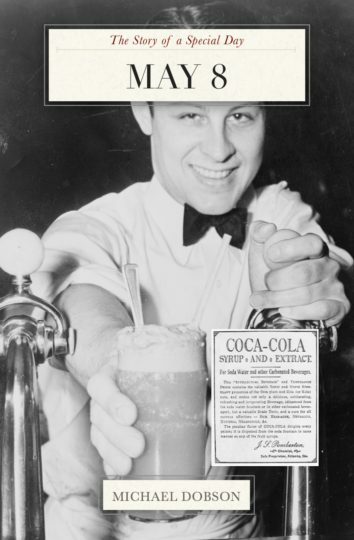 On May 8, 1886, at Jacob’s Pharmacy in Atlanta, Georgia, the first Coca-Cola was sold for the princely sum of 5 cents! In other news, Joan of Arc ended the Siege of Orleans (1429), World War II in Europe ended (1945), and smallpox was eradicated (1980). May 8 birthdays include US President Harry Truman, writer Thomas Pynchon, historian Edward Gibbon, musicians Enrique Iglesias and Ricky Nelson, insult comic Don Rickles, and television Bishop Fulton J. Sheen. Wild Things creator Maurice Sendak died on May 8, along with painter Paul Gauguin, Hawaiian monarch Kamehameha I, and science fiction writer Robert A. Heinlein. On May 8, Columbus, Mississippi celebrates Emancipation Day, South Korea celebrates Parent’s Day, Mexico honors Miguel Hidalgo, Norway honors its veterans, and Helston, Cornwall has its annual Furry Dance. If it’s the first Saturday in May, it’s also National Homebrew Day! In astrology, May 8 is in Taurus (traditional) and Aries (sidereal). May’s birthstone is the emerald, and its birth flowers are lily of the valley and hawthorn. The Story of a Special Day is a special occasion gift they’ll never throw away — a whole book for the price of a premium card! The story of a special day.tells you what happened in history, who was born, and who died. What happened on *your* special day? From celebrations around the world to significant moments in history, birthdays, zodiac signs, and all-month events, this book makes a perfect birthday present or anniversary gift — one that will be kept and remembered long after an ordinary birthday card has been forgotten! Each volume of The Story of a Special Day is packed with rare historical photos and fascinating facts. With 76 pages packed with over 42 historic photographs and illustrations, this book is a feast for the eyes as well as for the brain. A perfect birthday present or anniversary gift, “The Story of a Special Day” will make anyone feel special on his or her very special occasion.